The Lutheran Small Catechism with Explanation (ESV) provides a classic Protestant look at ecclesiology (how one views the Church), but I find it very unconvincing and full of problems. My conclusion is that the Lutheran alternative does not seem plausible, and it most certainly can not disprove the claims of the Church. A single institutional Church is necessary, because some doctrines are “hard to understand” (2 Peter 3:16) and they need to be consistently preserved and articulated. “A. Because faith, which makes people members of the church, is invisible, the church is invisible to human eyes. On the second part of this answer, I have no complaints. The Holy Spirit certainly does guide the Church. However, on the first point, it cites Luke 17:20-21 and 2 Timothy 2:19 for support, taking both passages out of context. The first passage actually refers to the “end times” and people wondering about when they will be and what they will entail, and this is made clear by the rest of the chapter. The second passage simply points out that, despite heresy being almost everywhere, “the firm foundation of God stands” and “the Lord knows those who are His”. The Church is not invisible. 3. 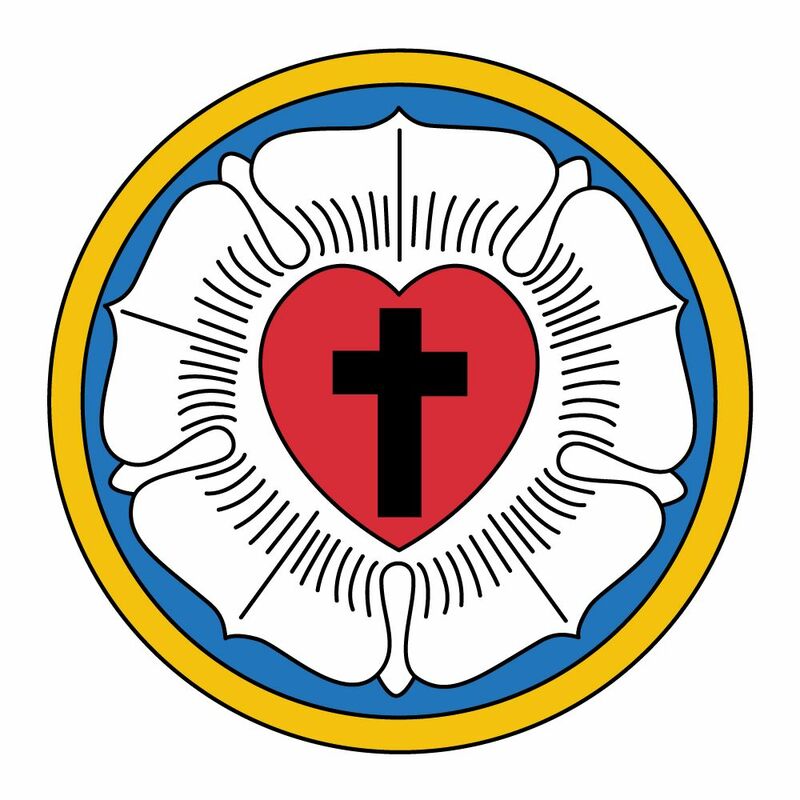 This Lutheran Catechism also makes the points that the Church’s “one and only head is Christ” and the Church “belongs to Christ and is built on Him alone”, but this is misleading and an intentional jab at the Church. Christ is the now-invisible head of the Church, in that He fills Her with grace and protects Her from grave error, but the Church must have a visible head to represent Him: the Vicar (representative) of Christ, the Successor of St. Peter — the Pope. It is true that only Christ could lay the foundation for His Church (1 Corinthians 3:11) and that He is the cornerstone (Ephesians 2:20), and the Church absolutely recognizes this. He laid the foundation when He appointed Peter as the visible head of the Church (Matthew 16:18-19) and He is still the cornerstone — without Christ, the Church would crumble. Because only Christ can lay the foundation of a Church, Martin Luther had no authority to start his own sect — unless, of course, there is some sort of evidence that definitively shows that Christ transferred His authority to him. Naturally, this evidence does not exist. Also, remember that not everyone is “called” to Church leadership (Hebrews 5:1-4). 4. Additionally, this Catechism teaches that “the holy Christian church is to be found where ‘the Gospel is purely taught and the Sacraments are correctly administered’ (Augsburg Confession VII 1)”. However, even after taking this into account, I also realize that the Lutheran understanding of both the Gospel and the sacraments is distorted. Lutherans typically believe that there are only two sacraments (Baptism and Communion). Catholics, meanwhile, recognize a total of seven: Baptism, Communion (the Eucharist), Confession (Penance), Confirmation (or Chrismation), Marriage, Anointing of the Sick, and Holy Orders. Lutherans usually think of these other five as rites that do not necessarily contain God’s grace, but are still historically practiced. Just one example of the Lutheran sacramental problem is that they hold to sacramental union (Christ is “in, with, and under” the bread and wine), while the Church holds to transubstantiation (the bread and wine become the literal Body and Blood of Christ), which is the traditional view. The Lutheran departure from the historical view seems to reveal “a morbid interest in controversial questions and disputes about words” (1 Timothy 6:3-5). Is their emphasis here more important than unity? Meanwhile, Lutherans also debate over whether or not Confession is a sacrament. Martin Luther said one thing, but the official Defense of the Augsburg Confession says another. With disagreements over the fundamental natures of the sacraments and their generally invalid claims to apostolic succession (which is necessary for the validity of the sacraments), Lutherans do not have a “Church” in the proper sense. 5. Protestant ecclesiology has wrecked the doctrinal and visible unity that God demands. In Galatians 5:16-21, St. Paul condemns “dissensions” and “factions” as “deeds of the flesh” that will result in the causers “not inherit[ing] the kingdom of God,” and in Romans 16:17, he teaches that Christians should “turn away from” them. Protestants have, unfortunately, disobeyed this command. Unity is Christ’s prayer for us (John 17:11), so let us become unified again, visibly and invisibly.